Rheumatoid arthritis (RA) is a chronic inflammatory disorder that affects the joints, including those in the hands and feet. This condition develops when the immune system targets the lining of the joints. It often affects both sides of the body, such as both hands, both feet, both wrists, or both knees. 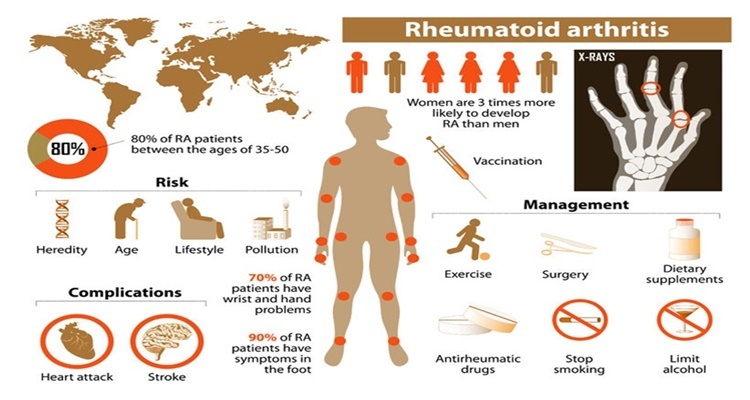 This asymmetry is what sets RA apart from other types of arthritis. In more severe cases, the condition can affect other components of the body, such as the heart, lungs, skin, nerves, blood, or eyes. Rheumatoid arthritis is a chronic autoimmune disease that can last years or be life-long. The exact cause of rheumatoid arthritis is not yet known. However, doctors do know that abnormalities of the way the immune system responds can result in inflammation and joint damage. Researchers have discovered that some people are more prone to the condition than others. In particular, people with a genetic marker known as HLA shared epitope are five times more likely to develop RA than those who do not have the marker. Researchers have also made other connections that may show that certain factors contribute to RA. These include infectious agents like viruses and bacteria, as well as exposure to stressful events. The symptoms of rheumatoid arthritis typically start off mild and become more intense over time. In the early stages, many people will experience only tenderness and pain. As the disease progresses, it’s common to experience prolonged periods of swelling and stiffness. In the morning, stiffness may last for 30 minutes or longer. Small joints are usually affected, such as those within the hands, feet, and wrists. Along with pain, many people also experience loss of appetite, fatigue, and low-grade fever. Symptoms of RA often come and go and a flare-up may last several days to several months. When creating a treatment plan for someone with rheumatoid arthritis, the main goal should be to stop inflammation, prevent organ and joint damage, and relieve symptoms. Doctors should also aim to reduce long-term complications and improve physical function and overall health. Aggressive treatment is often recommended initially to stop the inflammation as soon as possible. The earlier the disease is treated, the better. With the right treatment, people with rheumatoid arthritis are able to go into remission, which means experiencing minimal or no signs of symptoms. Natural treatment for rheumatoid arthritis involves eating the right foods, moving your body every day, and undergoing targeted therapies to better manage symptoms. Start with your diet. While there is no specific diet designed for people with RA, many people can benefit from trying an anti-inflammatory diet or have a blood test to determine what foods are triggering an inflammatory response that may trigger symptoms. By working with a naturopathic doctor, you can find the ideal diet for your unique needs. In addition to eating right, you’ll want to exercise regularly. Aim for a goal of 150 minutes of moderate intensity physical activity each week. Great sources of exercise include walking, bicycling, and yoga. Learning to deal with your stress is a positive way can also help you better manage your symptoms. Our emotional state of health often has an impact on our physical health. When you are able to maintain a high level of optimism even when you’re in pain, you can work through flare-up more easily. Your naturopathic doctor may also recommend targeted therapies that focus on improving your immune system. Physical activities, such as acupuncture, can also be beneficial for reducing symptoms. 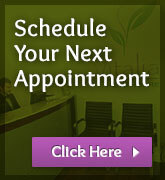 To learn more about natural treatment for rheumatoid arthritis, call Vitalia Healthcare in Vancouver.